Think Tank Views (TTV), also known as Think Tank Reports (TTR), provides a unique research and discovery platform with an extensive collection of think tank reports, working papers, reviews, etc., in multiple languages. It mainly addresses issues of international relations, government, politics, economics, military, technology, and culture. TTV incorporates rich metadata and full text from hundreds of sources to make think tank research output instantly discoverable. 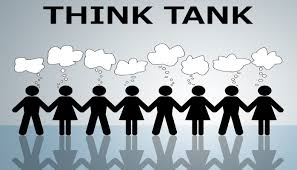 Think Tank Views (TTV) is part of Global Chinese Studies (GCS)*.